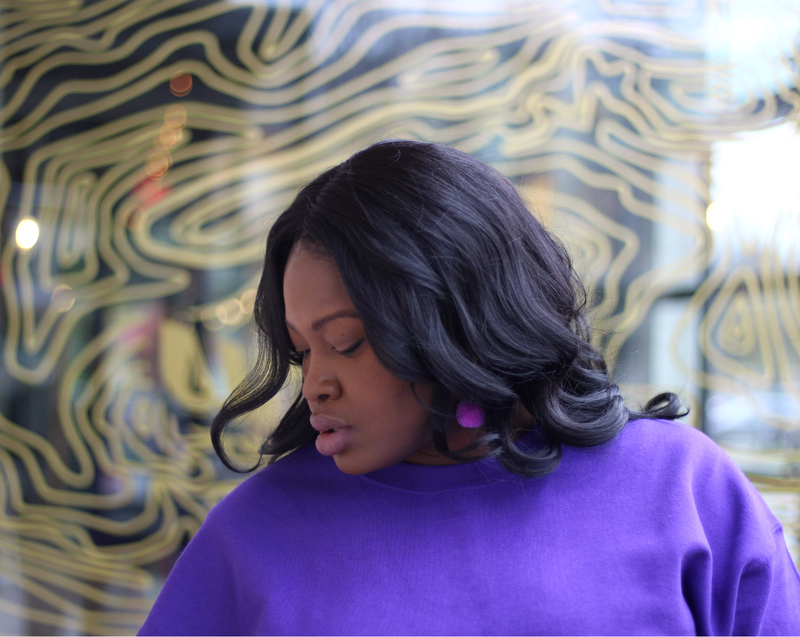 Hi, Chicsters its one of our favorite time of year with all the festivities ahead to days post is all about Holiday Style. Specifically, ill be sharing the Top 2018 Holiday Style Trends + Tips On How Standout This Holiday Party Season. If you are a maximalist the holiday season is for you. It’s time to whip out the sequins, fur and all the embellishments in your repertoire. Aside from sequins and fur this season we are also seeing velvets, silks, and vinyl. Silver was a standout metallic from the fall and it fits right into the Holiday season. Don’t stop there, however, colored metallics in pinks and blues very now! 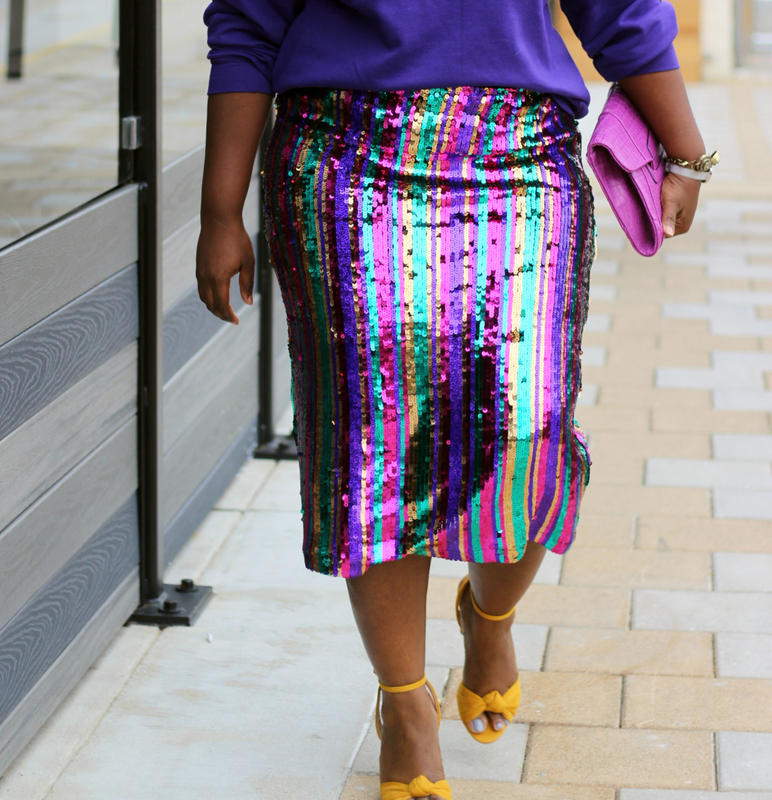 If sequins are still your drug of choice opt for a patterned sequin-like the striped skirt I have on or sequins in an unexpected color like chartreuse or baby pink. If you want to stand out from an ocean of sequins at your next holiday soiree, look for clothing with drama. Interesting cuts like exaggerated shoulders (like this Top), artfully placed ruffling, cutouts, embellishments like feathers and pearls as well as interesting fabrics like vinyl. These pieces will bring in the maximalism of the holidays in a subtle way and everyone will want to know why they didn’t think to put your look together. 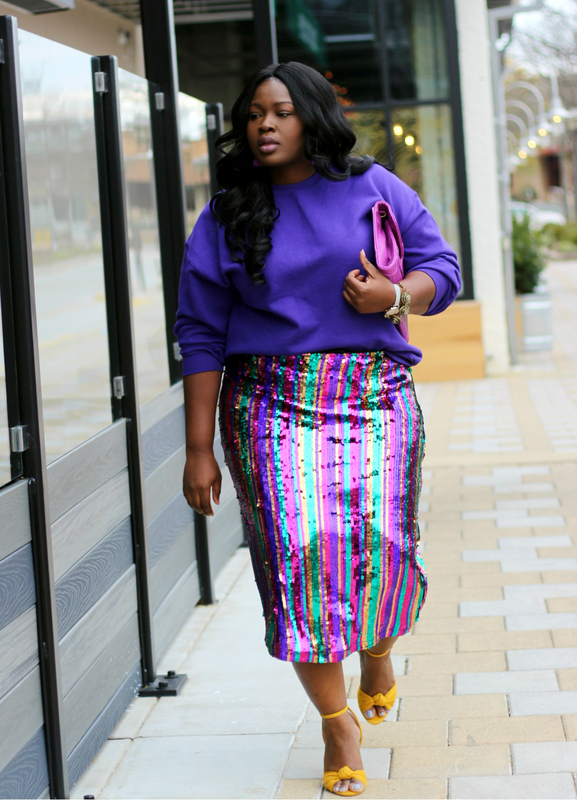 As far as this look I’ve been obsessed with wearing sweatshirts in various ways for one they are warm and two they are pretty inexpensive and come in a plethora of colors. I picked this one up from Amazon and im wearing a men’s XL for a loose fit. Sadly at last check, this Skirt is sold out (similar) and it’s from Asos I should have sized down so if you happen to come across a restock and you are in between sizes size down. 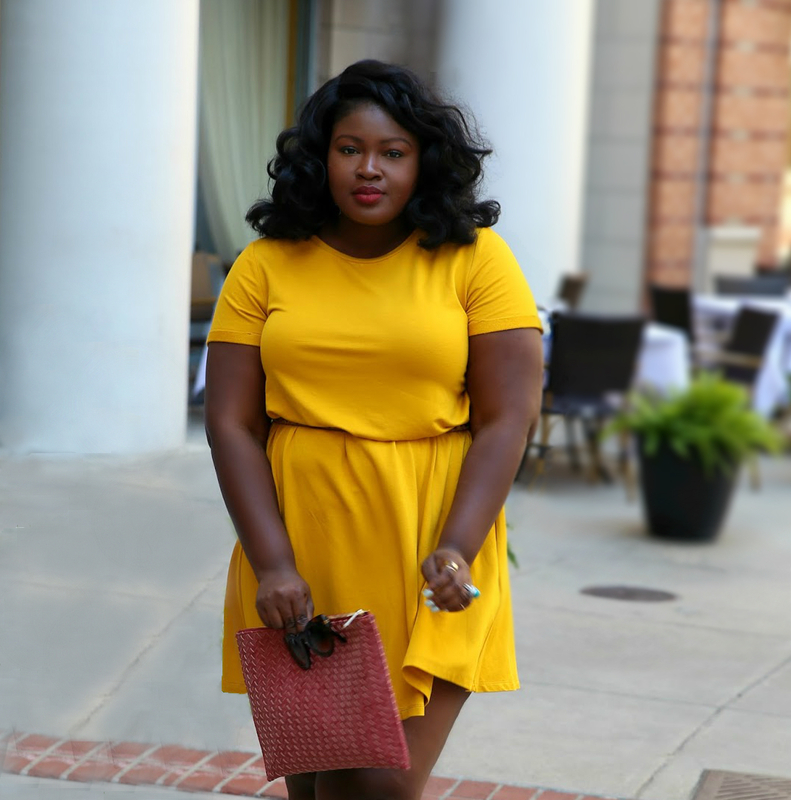 I finished the look off with strappy mustard sandals and an old purple clutch! Got a holiday soiree your attending what do you plan on wearing? How do you plan to stand out? Fantastic look and You wear it all so very well my Dear. Happy Holidays. . .
You’re stunning in that outfit! I could never pull it off. You just have to have the confidence for something like that, and I’m surely lacking that.